I’ve wanted a refrigerator specifically for beer – and wine – but other than a brief time some years back after a renter bought their own and gave us back ours, I’ve never had the luxury of a dedicated frig for booze. I’m a home brewer, when I have the time, and have seen refrigerators redesigned for kegs along with holding beer bottles etc, but had kinda given up on the thought of having a booze only refrigeration unit. A close friend of mine had a wine cellar converted from part of his garage last year, but he passed away recently. Yet, a wine cellar is not really the same thing. Then today, I’m perusing my internet news feeds and low and behold, I see this article on converting old classic nostalgia oriented frigs to kegs. It brought back all kinds of ideas but at the very least, I thought this would be cool to share on here. Realizing there are many types of kegerators available on the market (check out Amazon), these particular conversions in the article I read, use old style frigs and then they can add custom paint jobs to add a little pizazz. The company is called Classic Kegerators and if what you’re looking for is a cool souped up classic refrigerator made into a kegerator, then this is your place. These vintage frigs can hold multiple kegs, which gives you the ability to drink different beers … and all on tap! Classic Kegerators can also set them up to pump any kind of booze you want including wine and whiskey. These kegerators are made from an original classic frig like this Philco. Don’t be surprised when you see the cost. They start at $2,000 and go up from there depending on what you want. However, like any recrafted piece, the work that goes into making these beautiful renditions of what was an old refrigerator, could well be worth the investment. I say investment because something like this becomes entertainment and a talking point. It improves the looks of an area and surely will be something you can be proud of showing off. Hey, and let’s face it, like our Decorative Wine Barrels, you’re taking an old worn out product and recycling it back into service. This entry was posted in Wine and tagged beer frig, Classic Booze Frig, Classic Kegerator, converted frig, old refrigerator, Philco on May 28, 2014 by PasoDr. What Do NFL Quarterbacks And State Of Washington Have In Common? The Evergreen state is attracting former National Football League quarterbacks for something entirely unrelated to their profession: wine. Yes, gridiron signal callers are calling a life audible and becoming winemakers of sorts, moving from the football fields to fields of vines. 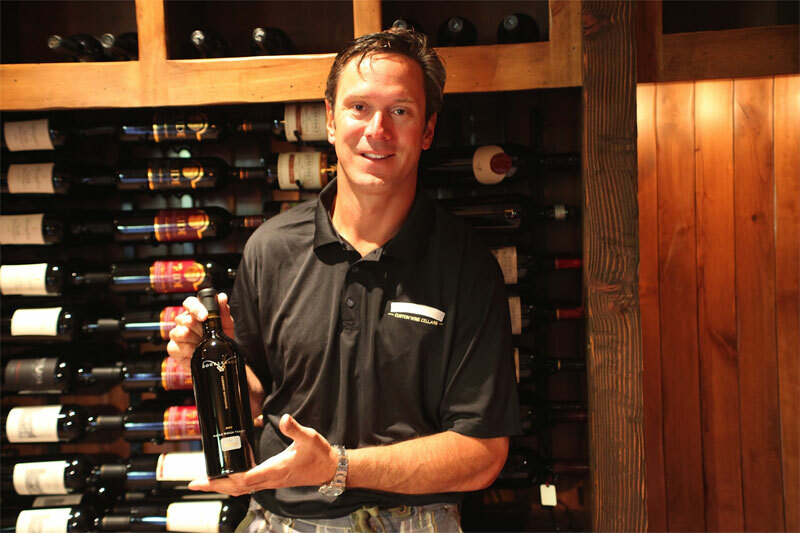 Former New England Patriot star quarterback Drew Bledsoe has a small but successful vineyard in Walla Walla, Washington. Drew Bledsoe, Dan Marino and Damon Huard have found themselves in the southern reaches of the state of Washington, growing grapes and making wine. Bledsoe has established a successful winery in Walla Walla called Doubleback, while Marino and Huard teamed up to start a winery called Passing Time (Vimeo video) – it will be based in the Horse Heaven Hills AVA near the Columbia River. Why southern Washington and why wine? The region is part of the larger Columbia Valley AVA that has over 40,000 acres of vineyards. The area is well known for its winemaking with almost a cult following including wineries such as Alexandria Nicole and Columbia Crest. Washington wine is ever-growing in popularity. Damon Huard and Dan Marino first hooked up as teammates with the Miami Dolphins. The connection to the area revolves around the fact that two of the quarterbacks are from the state of Washington: Bledsoe from Walla Walla and Huard from Puyallup. Also, Huard’s father had a farm in Horse Heaven Hills. 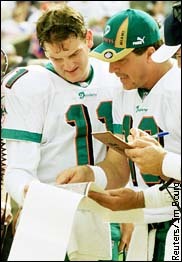 Marino’s connection is that Damon was his backup on the Miami Dolphins for four seasons. By the way, somewhat ironically, Huard would become Bledsoe’s backup with the New England Patriots. As far as why these quarterbacks felt inclined to be in the wine business, with Bledsoe (New England Patriots) having grown up in Walla Walla – a city known for its farming including onions and grapes – it was a natural progression for Drew especially considering his longtime friend Chris Figgins was a excellent winemaker. As for Marino, he had been a fan of wine from the time he could first drink and that passion brought Huard along when they were teammates. That friendship between the quarterbacks, developed into finding a winery they could call their own. Also, the Hall of Famer Marino is no longer working on television as a NFL analyst and will have more time on his hands for new ventures like Passing Time. 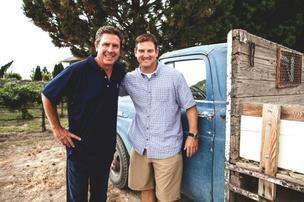 Dan Marino and Damon Huard as vintners. Bledsoe has created a small but successful winery with Doubleback, while Marino and Huard just bottled their first vintage, a Cabernet Sauvignon, which will be made available in 2015. Both of these wines are being marketed as higher end quality boutique wines with prices in the $75 to $100 range per bottle. Making money is not likely the goal here, at least not right now, but both of these businesses are set up to reach big heights. In the mean time, these former football stars will continue to market and improve their Washington wine on the Columbia River Plateau – a long ways from the glitz and glamor of playing as a quarterback in the NFL. This entry was posted in Wine and tagged Columbia River, Damon Huard, Dan Marino, Doubleback, Drew Bledsoe, Horse Heaven Hills, NFL quarterback, Passing Time, Washington wine on May 28, 2014 by PasoDr. New oak wine barrels are readily available and prices remain the same, but old used barrels are harder to find. You talk with winemakers and those in the industry and find that a mix of reasons as to why used wine barrels are harder to find these days. The immediate conundrum is the fact that new barrels are readily available and not going up in price. Still, here in California, the lack of the used barrels problem is exaggerated by more and more wine production every year. So, what are the explanations being given for the shortage of old barrels? 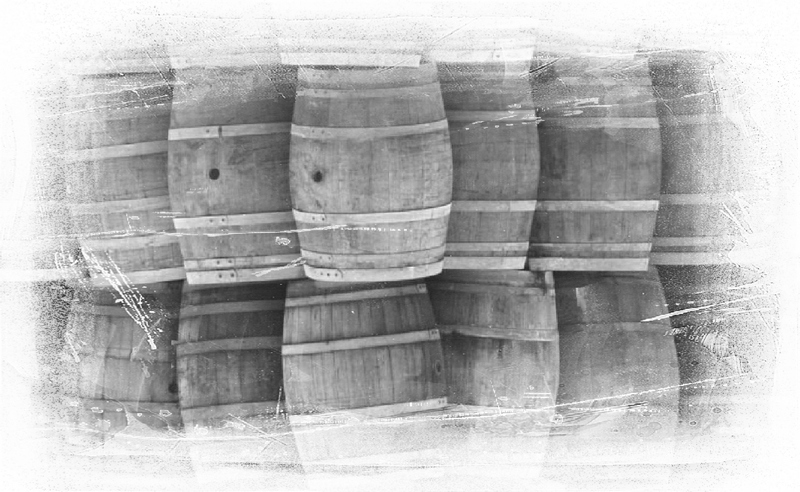 Unlike ‘Where’s Waldo’, old used barrels are not always there … or anywhere. First off, a quick explanation on the availability of new barrels. While the United States has increased their consuming of wine, other parts of the world including Europe have decreased consumption of vino. Plus, oak barrel production has increased with new areas generating wine barrels including many in the U.S. Nevertheless, used barrels are becoming difficult to find. Why? One reason is here in California we’ve had two bumper crops of grapes in a row and this year appears to be another one. Wineries are essentially hoarding their barrels, hanging onto them for another year rather than purchase new barrels. Although much can change between now and harvest, it seems used barrels will remain with vintners a bit longer than normal. Another reason that I wasn’t aware of until recently was the demand for any kind of barrel for whiskey. The head of a giant wine production facility in Napa told me that especially the Scotch producers were buying up every barrel they can get their hands on. This coupled with craft beer and other liquor manufacturers that are using oak barrels more often and you can see why there might be a shortage. Also, to cut into the availability of old used wine barrels is the furniture business and of course the ever-increasing popular use of barrels as planters – that would be someone I know very well. I’ve been contacted by furniture firms who need used wine barrels for the growing industry of oak wine barrel reproductions made into all types of creations and fixtures. And finally, not to be outdone, Decorative Wine Barrels along with half barrels like planters and hose holders made by Paso Wine Barrels are increasing in status as a great alternative to artificial containers made of plastic and shipped in from China. The lack of used barrels may change if the current drought in California affects quality and production or demand changes. In addition, if weather alters for the worse or possibly early frost hurts vines before they can be picked, that could dramatically revise needs for used barrels. For now though, finding an old used oak wine barrel becomes harder to find – and of course with demand outpacing production, the prices are eventually going up. Old used barrels or the recrafted Decorative styles remain available at reduced prices at Paso Wine Barrels, but holding cost down right now is iffy. In the mean time, buy them where you can or go to PasoWineBarrels.com. Hey! Ask us about our reduced freight for Central Coast citizens. Also, we offer reduced freight for quantity orders – just email us for details. This entry was posted in Barrels + and tagged oak barrels, old used wine barrels, Where are the barrels?, whiskey barrels on May 27, 2014 by PasoDr. This entry was posted in Newsletter and tagged May Newsletter, Newsletter, PasoWineBarrels.com on May 20, 2014 by PasoDr. Twitter is and probably will always be a unique and unusual platform in the social media realm. I first signed up for it right after they started but after several months of trying to figure out what to do with it, I closed my account. I opened it back up a few months later as a political outlet, but that soon was tiring and didn’t help me with anything businesswise, so I abandoned it again. In early 2009 with others telling me I needed to be on Twitter, I gave it a try once more. 20,000 tweets later, I’m still using it. What this means I’m not quite sure, but regardless, that’s a lot of 140 character statements over five plus years. Yeah, I’m tired just thinking about it. Twitter is a messaging platform – they call it a micro-blogging service – that allows a person or business to follow someone’s tweet who might be like-minded or interesting. If in turn the other person likes you, they will follow your tweets. In a most basic breakdown, Twitter isn’t unlike Facebook but without all the clutter. Another way to look at it is Twitter is for the shorter attention spans than those on Facebook, Google+ or most other social medias. To think I started out on Twitter – the third time around – with a race marketing angle, changed to a drag racing approach, all along it was an outlet for my sports writing and then made a u-turn into the wine barrel business. That’s a whole story unto itself. Regardless, I took up Twitter full-time, so-to-speak about the same time I started writing professionally. Yet, let it be said, writing a story or article isn’t anything like sending a quick sentence off using no more than 140 characters. However, I learned early on that Twitter forced you to put thoughts down in a micro-quip. Writers will understand that it’s easy to drone on about something without getting right to a point – Twitter helped me quite a bit in that regard. Not that Twitter is necessarily a great place to brush up on your pinpoint writing. Often words are reduced to abbreviation or just left out for the reader on the other end to figure out. By the way, you could estimate that I’ve written roughly 2.8 million characters down on Twitter, which calculates out to easily over half a million words written (five is the average characters for a word). I should note that I’ll talk about almost anything on Twitter, whether it’s about the Central Coast, sports, my business, wine, politics or anything else. I’m probably more diversified in my comments on there than any other social media. Instagram has come along as the image dominated Twitter. What Twitter has done with words, Instagram is short and sweet with sometimes nothing more than a picture. Facebook owns Instagram. It always appeared that someone was coming along to replace Twitter. Remember MySpace? Yeah, I was on that before any of these other social medias; but, it became apparent it was too sleazy and most of the people using it were just into music. Twitter and Facebook replaced MySpace and so did I. I exited MySpace, closed the account and then showered. Bleh! 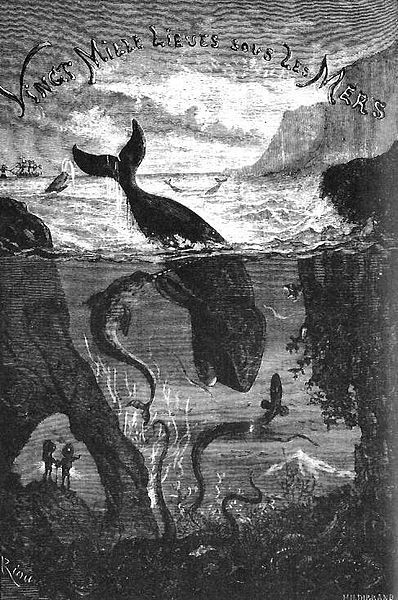 Twitter’s Fail Whale wasn’t exactly like Jules Verne’s whale – which was actually a submarine. Facebook and later Google+ were supposedly going to knock out Twitter, but the tweets just kept on coming. While Facebook and Google use algorithms and reduce who sees your timeline – you’d be surprised at how few of your friends actually see your status comments – on the other hand, Twitter shows everything and has kept its platform simple, while properly monetizing the business, all-the-while keeping their program straightforward. Twitter has their fair share of ‘Fail Whales’ along the way, but overall they’ve kept the system working well. If you’re not familiar, a picture of a Fail Whale came up on the screen as a nice way for Twitter to say the system is down. For now, I’ll keep using Twitter and at some point in time, in all probability, use it for advertising as well. You can check me out at @PasoDr and whether I ever do another 20,000 is questionable, but likely I’ll always use Twitter in some fashion or form. Plus, I like the number – 20,000 Leagues Under The Sea by the great French writer Jules Verne is one of my all-time favorite books, along with being one of the first novels I ever read. I know, you’re confused by what the heck any of this has to do with my narrative. Hey, the book can be confusing too. Anyway, I’ve written thousands of articles so my tweets don’t amount to nearly as many words. Still, speaking of novels, you know how many I could have written using those 2.8 million characters on Twitter? Mon Dieu! PS: Check out our May Special – Get the world’s best with an incredible value if ever there was one. This entry was posted in History, Uncategorized and tagged 20000 Leagues Under The Sea, Facebook, Fail Whale, Jules Verne, social media, tweet, Twitter on May 14, 2014 by PasoDr. 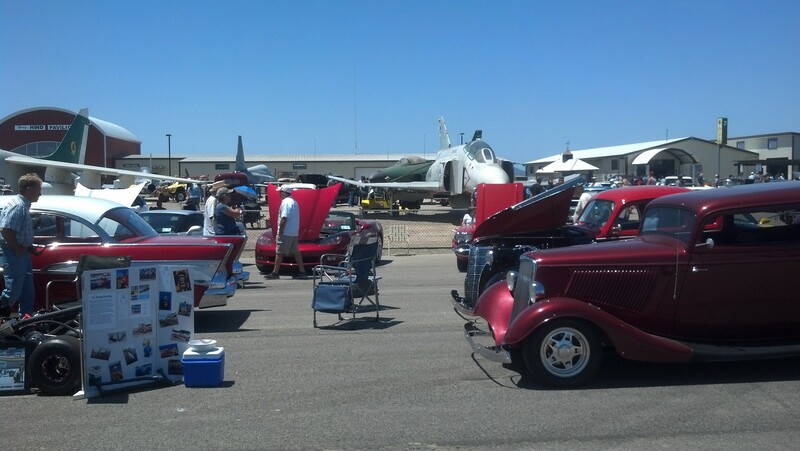 Great show at the Estrella Warbird Museum and Woodland Auto Display in Paso Robles, Ca. 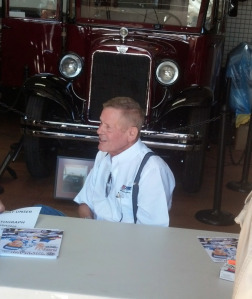 An incredible show here in wine country brought IndyCar legend Bobby Unser to our little neck of the woods. It was this past Saturday and the name of the extravaganza was Warbirds, Wings & Wheels. There were so many cars and planes of all sorts. Check out more about Unser’s story along with the other stars of the show – planes and automobiles. You would think that winning the most famous race of all – The Indy 500 – would have kept one of the sports elite and successful drivers going for more, but Bobby Unser’s victory at Indianapolis Motor Speedway would be his last. To add more oddity to the situation, Unser wasn’t declared the winner of the race until October of that year, roughly five months after the race ended. On top of that, the victory had tied him for second on the all-time Indy 500 winners list with three. This entry was posted in History and tagged Bobby Unser, Estrella Warbird Museum, Paso Robles Airport, Warbirds Wings & Wheels, Woodland Auto Display on May 13, 2014 by PasoDr. For those who pay attention to the nuances of wine barrels, it can be almost daunting as to the who, what, where and hows, let alone which kind of barrel to use. Winemakers are always trying to get that advantage over the other to make the next great wine. The type of oak barrel can be that differentiation that vintners are looking for. I talked to a winemaker a couple months back and he said his mind spins when considering the array of different oak barrels that are available. 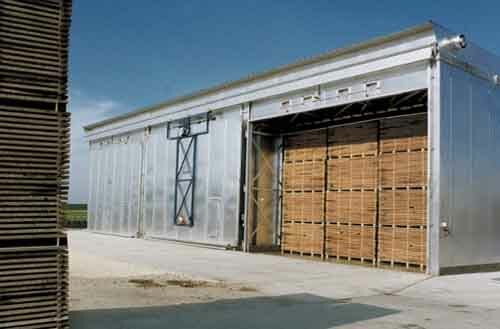 There is of course wood from the forests of France, but also barrels are produce from oaks of Eastern Europe. Then there is American oak, which can be generated from the Midwest, Appalachia and the Pacific Northwest. 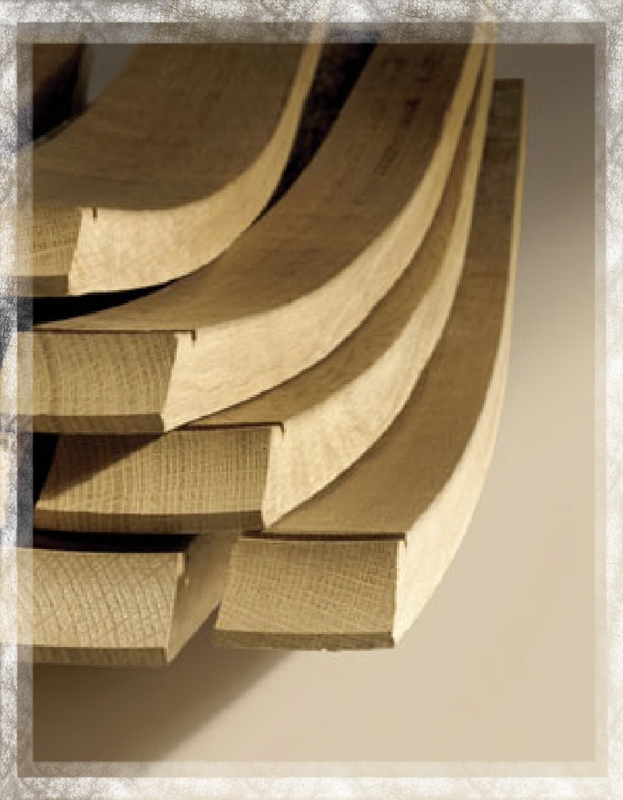 Missouri is probably the leading state for production of white oak. To make things more complex, cooperages, in conjuncture with winemakers are combining the dissimilar white oaks from different states to produce yet even more differentiation. Now you can see why the aforementioned winemaker’s brain is spinning like a top. Vintners generally think the difference between European and American oak is the tighter grain that oak such as French have over American, allowing the French oak to offer a more subtle degree to wine while American barrels impaired a more oak-based spicy and vanilla texture to wine. That may not be exactly correct. Now, an interesting article just came out (source: Coeur d’ Alene Press), suggesting that winemakers may be able to produce French-like results using American oak. Without going into the nuances of making wine barrels, certain cooperages are leaving the staves out to dry over at least a couple years time. This outdoor drying after toasting gives off less of an oak taste to wine – in affect doing the same thing to wine as the tighter French oak does. For more specifics, go to the sourced story linked at the beginning of this paragraph. Usually staves for a wine barrel are dried in a kiln. If indeed coopers can make an American wine barrel process wine the same way French barrels do, may this change the purchase habits of wineries? 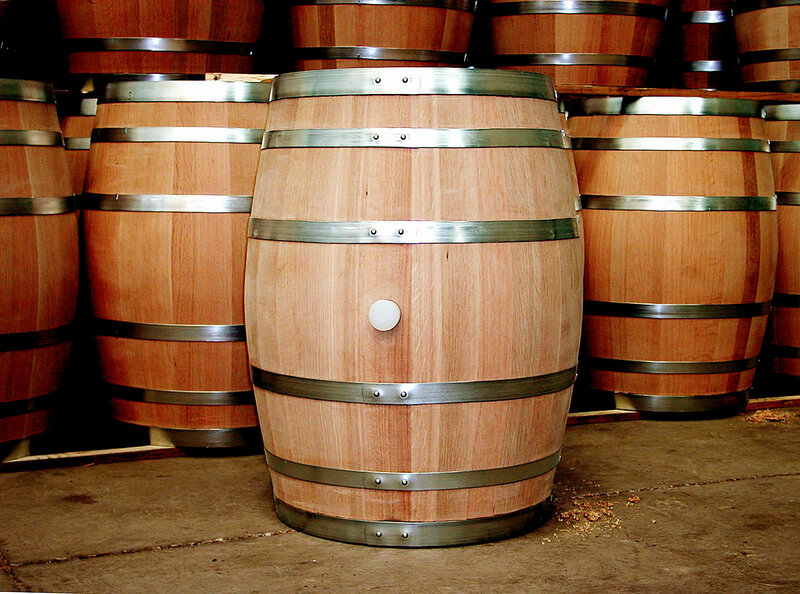 French barrels are more expensive than American so this could have been a huge issue if it weren’t for the fact that this new procedure is more time consuming and therefore loses the cost effectiveness of buying American oak barrels. As we learn along the way, it becomes apparent that making wine is an ever-evolving process with every part of crafting a wine refined, changed and just plain blown up as ingenious winemakers continue to alter the methods of winemaking. This entry was posted in Barrels +, Wine and tagged American oak, cooperage, French Oak, kiln, staves, toasting, wine barrels on May 8, 2014 by PasoDr.